Choose a Honda ATV for a vehicle that works as hard as you do. Whether you’re out on the trail or working the land, a Honda ATV is there for you. With features like electric power steering with torque and speed sensors, and independent rear suspension, riding has never been more enjoyable. 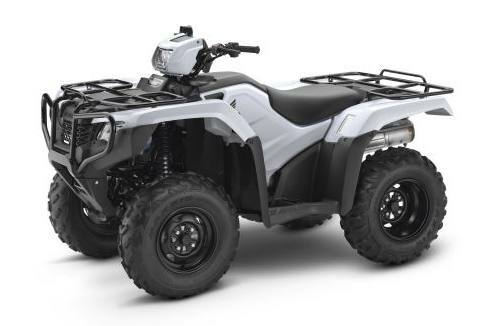 There is a Honda ATV for everyone, from new youth riders to experienced powersports enthusiasts. 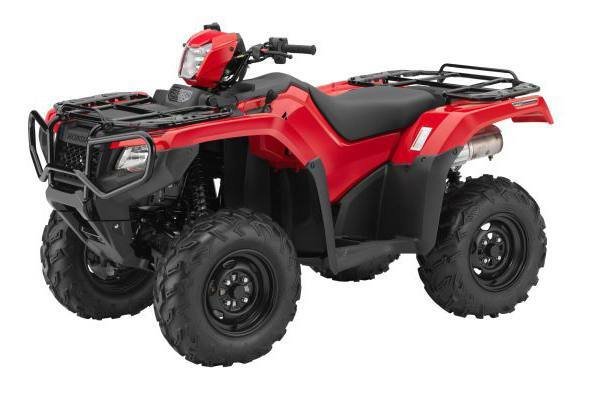 Interlakes Sport Center LLC carries a complete inventory of Honda ATVs. Feel free to browse our most popular and featured models below or stop in to ride off in yours today! 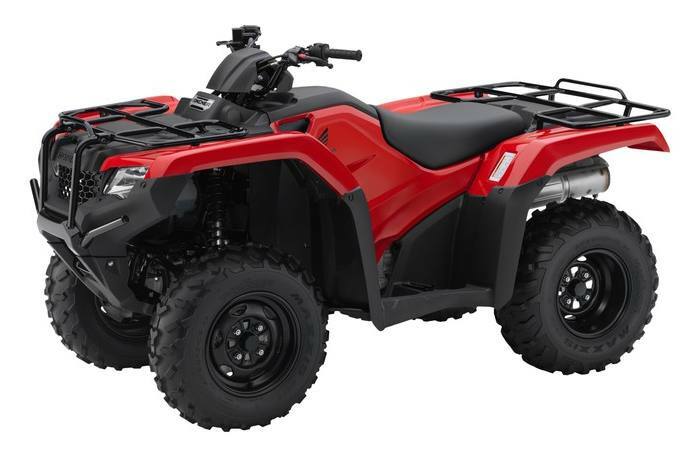 Every two- or four-wheel Rancher starts with the same proven 420cc Honda engine, providing low-revving power every ATV rider wants. Ride with independent rear suspension (IRS) for excellent handling and a superior ride. Choose a swingarm/solid-axle model if you're planning to tow a lot. The Rancher is your dependable, rugged workhorse. The Foreman has long been Honda’s leading workhorse and is the perfect size for work and fun. This machine with be your go-to tool, featuring a fuel injected 500-class engine that delivers top power and fuel efficiency. Its driveline maximizes front-end power transfer and traction. Choose between a variety of new aggressively-styled body's and color choices in 2018. The Rubicon provides all-day comfort. Every Rubicon offers the same tough, 500-class engine and a choice between two transmission options: a rugged conventional-type ATV gearbox and revolutionary automatic dual-clutch. Superior suspension gives you the confidence to tackle rough trails with excellent traction on uneven ground. Ideal for riders 10 years of age and up, Honda Youth models provide the power and handling your young riders are looking for with the state-of-the-art safety features parents need. 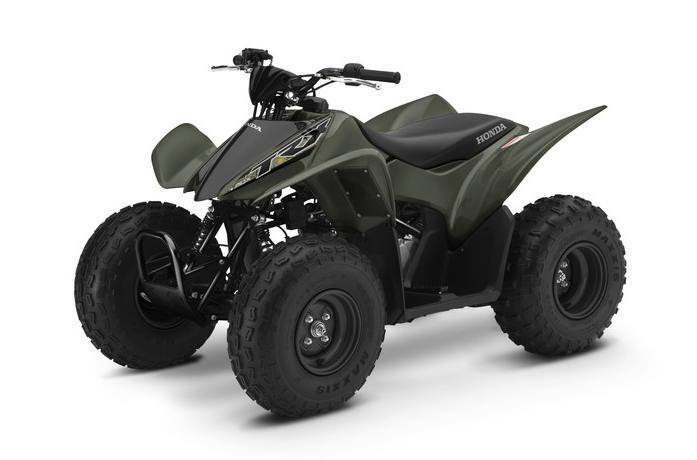 Honda offers a top selection of youth sport ATVs for all-season adventuring. Your new rider can choose from a variety of colors to match their style.